As Californians prepare to vote on Proposition 6, a ballot measure that would undo the gas tax hike enacted by Gov. Jerry Brown last year, a Republican member of Congress is pushing a national proposal that would counteract the benefits of Prop. 6’s approval by driving up gas prices and other energy costs. Congressman Carlos Curbelo, R-Florida, introduced legislation last month to impose a national carbon tax that would cause per capita energy expenditures to be increased by approximately $275 per person and $688 per household; that’s according to a Columbia University report Rep. Curbelo himself promoted at his July 23rd press conference in Washington, D.C. announcing the bill’s introduction. Curbelo isn’t the first politician to push a regressive carbon tax. In a June New York Times op-ed calling for a national carbon tax (an excise tax on fossil fuels designed to make things like gasoline and home heating fuel more expensive), two former U.S. Senate Majority leaders, John Breaux, D-Louisiana, and Trent Lott, R-Mississippi, noted that “Members of Congress pay attention to polls.” This is true. It is also true that the only polls that matter are the ones that take place on election day. So, how have carbon taxes and the politicians who support or oppose them done at the ballot box? Horribly — even in blue states that should be most inclined to support a carbon tax, such as Bernie Sanders’ home state of Vermont. Minter, on the other hand, refused to reject the carbon tax. She tried to hedge by saying she wasn’t in favor of a Vermont-only carbon tax and preferred a regional or national solution, but she would not promise to veto a carbon tax if it reached her desk. On November 8, 2016, as a Republican running in a deep blue state, with Donald Trump heading the ballot and getting just 30 percent of the Vermont vote (only in Hawaii did Trump do worse), with the excitement of Vermont Sen. Bernie Sanders breaking onto the national scene, Phil Scott trounced Sue Minter by nine points, 53 to 44 percent, largely on the strength of his unequivocal opposition to a carbon tax. The message was simple: Vermont voters did not want to pay an extra 88 cents per gallon at the pump, even if that were phased in over ten years. They did not believe politicians when they promised 90 percent of the revenue would be redistributed back in the form of tax cuts and rebates. They did not like the fact that 10 percent of the revenues raised would be used to subsidize renewable energy and conservation programs. Which brings us to the state of Washington. On the same day Phil Scott was celebrating his victory, on the other side of the country in the Evergreen State, citizens overwhelmingly rejected a carbon tax initiative with nearly 60 percent of voters opposed. Ironically, whereas Vermont taxpayers killed their carbon tax because it was not revenue neutral, Washington environmentalists killed theirs because it was. Groups including Sierra Club, the Washington Environmental Council, the Union of Concerned Scientists, and 350Seattle.org objected to the fact that, with a revenue neutral tax, no money could be raised to spend on environmental projects, so they actively opposed it. It seems as though carbon taxers can’t win. The latest electoral carbon tax story comes from Canada, a country that has experience with carbon tax policies actually in force. In June of this year, Doug Ford, a Progressive Conservative and a political neophyte, obliterated five-year incumbent Kathleen Wynne of the Liberal Party by promising to repeal Ontario’s “carbon tax” (really a cap and trade program that forced companies to purchase carbon credits to offset their emissions). During the campaign, Ford described carbon taxes as “no more than government cash grabs that do nothing for the environment,” and stated unequivocally, “We are getting Ontario out of the carbon tax business.” The resulting beatdown ended fifteen years of Liberal party rule in Ontario, Canada’s largest province by population, and was so overwhelming that the Liberals did not even retain enough seats to be recognized as a party in the legislature.Back in the U.S., House Majority Whip Steve Scalise, R-Louisiana, recently reintroduced a resolution to make clear that a carbon tax is a non-starter with the current Congress. That resolution — which states that it is the opinion of Congress that “a carbon tax would be detrimental to American families and businesses, and is not in the best interest of the United States” — passed the House on July 19 by a vote of 229-180, with seven Democrats going on the record in opposition to carbon taxes by voting Yes. Rep. Curbelo’s bill will not pass, but Republican lawmakers at the state level would be smart to pay attention to this issue. Recognizing they don’t have a receptive audience in Washington, carbon tax proponents are trying to shift their efforts to statehouses across the country. However, if the carbon tax can’t pass in far-left states like Vermont and Washington, it is not likely to prove popular or successful anywhere – except, of course, with the candidates running against it. 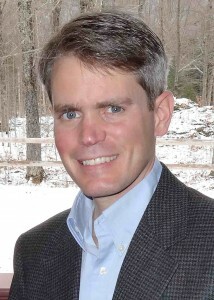 Rob Roper is president of the Ethan Allen Institute, a free-market think tank based in Vermont. Patrick Gleason is vice president of state affairs at Americans for Tax Reform, a taxpayer advocacy organization founded in 1985 at the request of President Ronald Reagan.